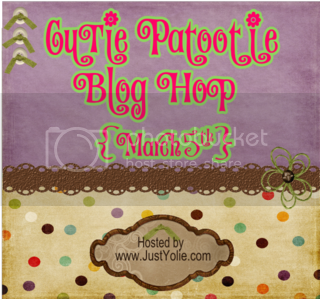 Welcome to the "CUTIE PATOOTIE" Blog Hop. 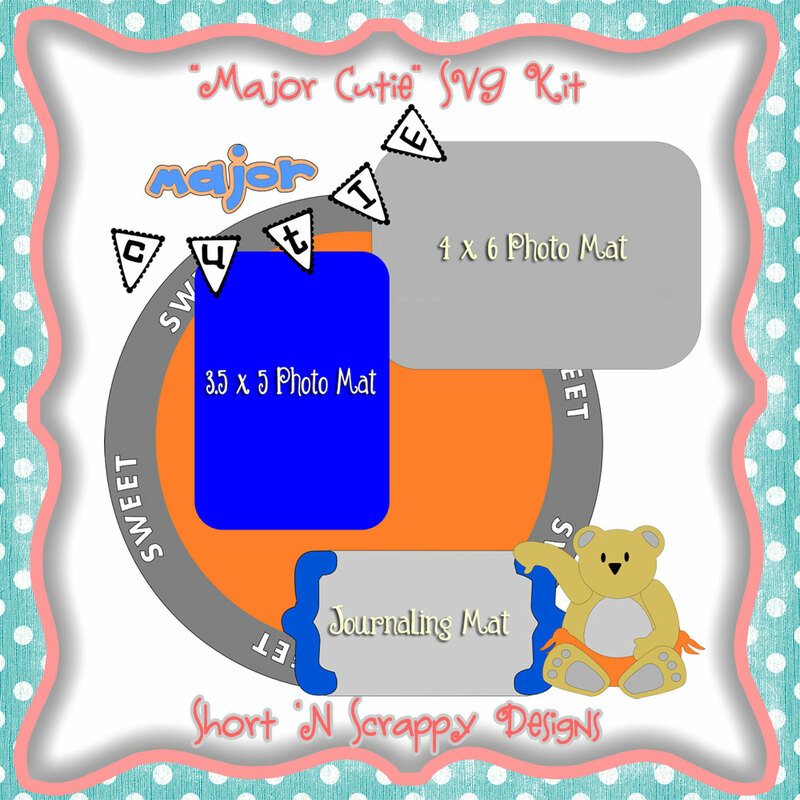 If you are here from Thienly's Blog: Mod Paperie then you are on the right track. If you have just popped in for a visit and would like to join the hop from the beginning, please start with Yolie's Blog: Just Yolie, Just Create. Now on to the cuteness!! Our projects were to be something super cute. And there is nothing cuter than a bitty baby...right? I need to catch up on scrapbooking some layouts for my son's baby book, so I took this opportunity to create some cuteness for him!!! Hope I have done that. So far, so cute....right? Well just add a couple of pics of a sweet little 3 week old baby boy and the cuteness just goes through the roof. I love this layout and these pictures really do not do it justice!! What do you think??? Cute enough? Ok, now on to some cute crafty candy.....In honor of my new ETSY and this Hop, I will be giving away all the svg files I have created for this layout to one lucky cutter. They all cut really well. I did draw the eyes and mouth on the bear simply because it was easier than stamping or gluing small ones on. Now all you have to do is become a follower, if you aren't already, and leave a comment on this post INCLUDING a way to contact you. If there is no point of contact listed along with your comment, I will go back to random.org and choose another winner. Easy enough. I do give free files away occasionally but I WILL NOT be giving this one out as a freebie. It is for sale in my Etsy shop. Just click the little "My Shop" tab at the top of my blog to view the items I've added so far. Hope you are all enjoying every one's cute projects but now you need to get hoppin...Your next stop is Angie's Blog: Scrappin' Memories. Here is the lineup just in case you need a little help along the way. Patricia, http://shortnscrappy.com/ - YOU ARE HERE!! Very cute layout, along with a very cute little boy. Nice job. I'm following you on GFC. Thanks for sharing. Awesome job and I love that banner on it, sooo cute!! You are right, don't get any cuter than that! I hope I'm not posting in the wrong place , being the first to leave a comment.....this is adorable and a fab layout....another page for my son's scrapbook if I can ever get started. Really, really cute layout! LOve it! I love the little banner you put on your layout. already a follower & I will be sure to check out your etsy. great lo, cutie little boy too! Patricia your creation is wonderful and he is a major cutie! Wonderful work! Love everything about this layout! cute layout - love the way you used the little banner in your title! Cuteness through the roof all right. Such a great layout. Love it. The little banner on your layout is the perfect touch! Great layout! Great hop, too. Cute layout! Love seeing the process. Excellent job! I am really enjoying this blog hop. I admire the creativity and appreciate all the work this took. Thanks. This is an adorable Layout and your son is so cute!!! TFS! So cute! Your litlte one is precious! Love the banner! that really is an adorable layout! I'll be coming back to visit your blog, I love it. Very cute layout!!! Thanks for sharing it! Love your layout and would LOVE to win your blog candy! I need to do some catching up myself with my little boys scrapbook! Thanks for sharing! VERY cute! I love how you show the layout too. Very nice job, super cute! Great job. I will have to stop by your blog when I have more time and see the SVG files you have created. Thanks for sharing them. Thank you for hopping on to my blog and leaving a comment, it is greatly appreciated. Yes, it's adorable! Love those kids! What a cute layout! Love it! Love the layout. Thanks for sharing. This did turn out SO CUTE! I just became a follower of your blog, can't wait to see what's next! ;-) thanks for sharing. Love the layout. I have 2 grandbabies due and are working on their scrapbooks. This would really come in handy. That's just darling. And I'm your newest follower! He is a major cutie! Beautiful layout! Very cute baby and layout. This was just way too cute. your layout is too cute! tfs! 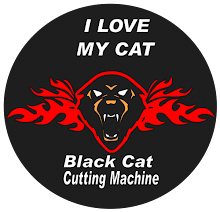 Love your layout and cut file. I am now a follower. Thanks for a chance to win. You have such a cute little one. You did a great job on the layout! Precious baby pics...oh, the LO was cute too. Ha! Wow! So many blogs; so many files and creations; so little time! Please visit my blog and help me reach 150 followers, thanks. major cuteness! Thanks for sharing all your great creations. I am a follower. I love your project. Thank you for sharing on this blog hop. Adorable! (I know you've already picked a winner, but I still have to post to qualify)! What fun! Great job on the layout. I missed the drawing for the SVG but that's fine. Thanks for sharing. I just got my scal 2 program and cannot wait to learn so I can get some of these wonderful svg files....Love your layout! super duper cute! I missed the drawing, but tfs! ginascraftingspot.com if you wanna come visit me. I am a new follower! I am a new follower. just want to thank you for sharing your creations with us. they are all so cute. I'm too late for the blog candy, but wanted to comment anyway. Your layout is very cute and I'm really enjoying this hop! Oh, BTW...I added your blinkie to my site and am a follower. If you don't mind, would you follow me also? I have a fairly new blog and am trying to rustle up some followers! I'm so bummed I missed your drawing... I hopped too late... but I'm glad you joined Yolie's hop! Nice work! Love the colors. Thanks for sharing. oww this is new to me a hop and a svg file. love the layout and the love the color. I LOVE CANDY and MADE UP HOLIDAYS!! !